The big news in real-time strategy circles recently was genre leader Starcraft II going free-to-play (to an extent). However, at the other end of the market Starfall Tactics is steadily progressing with last week marking the end of a ten-day NPC Factions Test event. 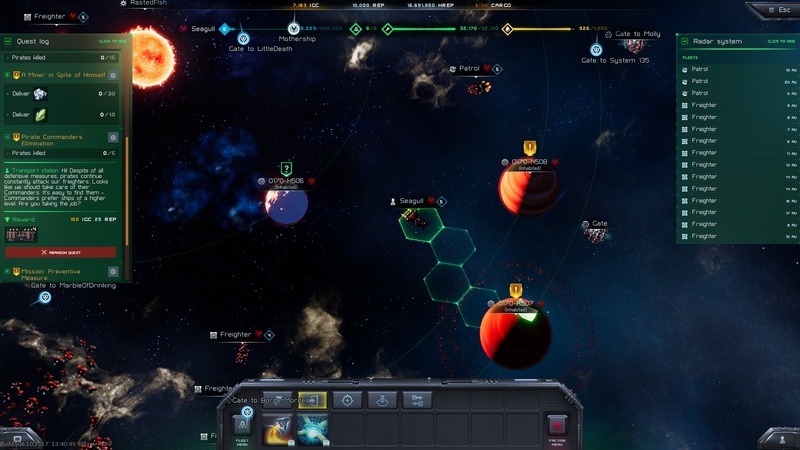 This latest in a series of test events saw the space-based RTS focus more extensively on the MMO features of a game that’s bounced back since an unsuccessful Kickstarter campaign in 2015. Anyone can currently access Starfall Tactics in its alpha stage of development, and those who’ve taken up the challenge have previously been able to experience its PVP offerings. These RTS battles feature a huge variety of vessels blasting each other with beam and projectile weapons from a top-down perspective. This latest test event looked to address the MMO side of things, as well as adding new units and battle options. These MMO additions included a basic quest system, further development of the three NPC pirate factions, equipment crafting, salvaging, trading, ship progression and XP for exploring systems. 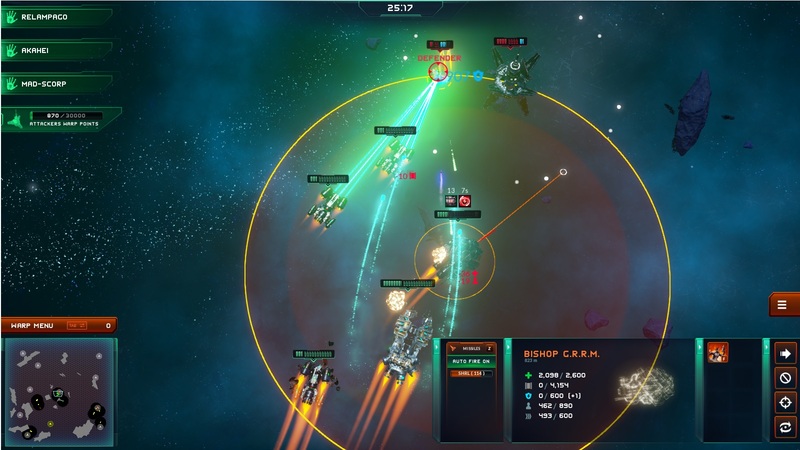 Returning briefly to the combat, despite the space setting Starfall Tactics takes place on a decidedly 2D plane – and in many ways these space battles are more like naval battles. Positioning and maneuvering ships seems to be key, not just to dodge enemy projectiles but also to avoid collisions – although for some vessels ramming is obviously a viable tactic. Another interesting feature of Starfall Tactics is the emphasis on strategy for the combat, ahead of economy management. There’s also a huge amount of customisation options for individual ships – as previously covered here on Cliqist. Starfall Tactics was successfully Greenlit on Steam back in May 2015, but as yet there’s no indication of a final release date. The regular test events still seem focused on refining the gameplay mechanics and bug-fixing, with developer Snowforged Entertainment not looking to unduly rush themselves – which can only be a good thing.